Finally I felt ready to use the supplied placement test with Bean. As I suspected, she scored high in reading, reasonable in spelling, and lower in handwriting. Despite her high reading level, she didn’t quite have a grasp all of the sounds the single-letter phonograms make, probably because she was taught reading mostly through the whole-word approach (as I wrote about in my earlier post). This meant she’d need to complete the Pre-Lessons provided to practice the phonograms and handwriting before starting the leveled section. I did have to purchase a digital copy of Rhythm of Handwriting for $8 to get the full use out of the Pre-Lessons with handwriting practice, but in the end I’m glad I did. My little one will get use out of the extra practice Rhythm of Handwriting offers in the future. The 2nd edition of Essentials Volume 1 contains 15 lessons of three separate levels: A, B, and C, each increasing in difficulty. 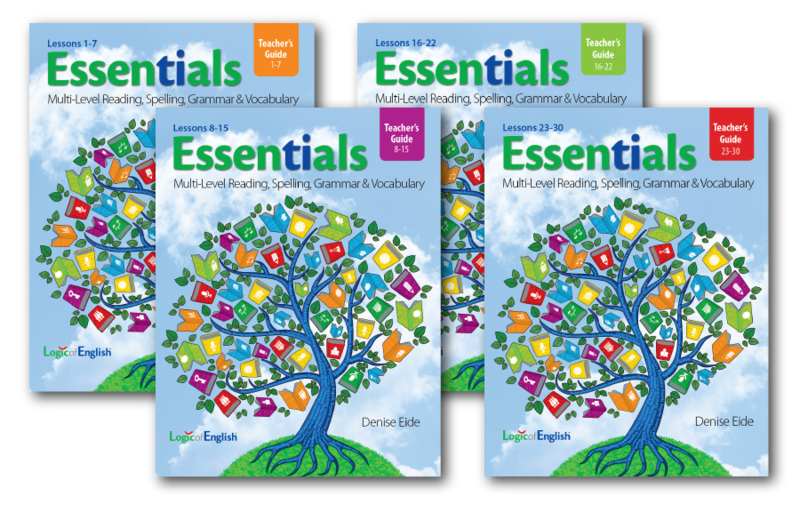 As of spring 2018, LOE now offers Essentials in four parts, Lessons 1-7, 8-15, 16-22, and 23-30, all of which containing those three levels. This means you can teach up to three years with the Essentials program. The placement test helps determine at what level you should begin. I tested Bean one day and she seemed to be at level B. However, after proceeding though the Pre-Lessons I retested her and she fell in at level A for spelling, although her spelling and phonogram recognition had improved. I felt it would be better to err on the side of caution and set her up for success by starting at the lower level, A. Overall, we are really enjoying LOE Essentials. Bean is a very hard to please kid when it comes to curriculum. It has to be engaging but it can’t take too much time to complete. It has to be fun, but not so much that she loses her self control. It has to be thorough but can’t be so complex that she gives up. This is right on her level and it will grow with her, which makes my heart happy! Essentials is really an open-and-go curriculum. I know many claim to be such but rarely have I found anything that I can truly open minutes before starting a lesson and feel good about it. Generally, I am able to grab our books, take a look at the materials list for the day, lay out what I need and get started. Occasionally, the program will encourage you to read ahead before presenting to your student. In those instances, I have let my daughter play a phonics practice activity with her sister or let her have free time before we begin so that I have a few minutes to read through the lesson. Each lesson consists of five days of activities. Each of the five days follows the same basic pattern, which I will elaborate on. Generally, I don’t like curriculum that is laid out in a five-day set up. It is too rigid. Often I end up feeling burdened, behind, and pressured when I miss a day or two due to field trips or co-ops. Being a homeschool family means we generally operate very flexibly, adding activities in here and there at the last minute. It can really throw off a 5-day curriculum when some weeks you only have time to do two days of lessons! Essentials, however, doesn’t nag at me when we miss a day. We simply pick up where we left off and keep moving forward, even after missing days or a week at a time! It is very freeing, and I was pleased to find how well Bean remembered what we had learned in LOE after taking time off for other activities. This program just works, especially with the 5-day lesson layout. Phonograms, Spelling Rules, and Exploring Sounds. This usually includes introducing a new phonogram or a few related ones and all the sounds they make, discussing how the sounds are made (where is your tongue, is the sound blocked, is it voiced or unvoiced? ), and whether each phonogram sound acts as a consonant or vowel. These skills are necessary to help students sound out new words, and learn to spell the sounds they hear. Did you know the letter O often says its schwa sound, short U, because when those words were spelled using the letter U, it was too hard to read the hand-written text when the U was next to the letters TH, M, N, W, or V? There were too many vertical lines, so the scribes changed the U’s to O’s! The spelling rules demonstrate how and when to use the new phonograms, or how to apply new spelling rules to other phonograms previously learned. Some of these rules have been totally new to me, as well. I’m loving that I’m learning the reasons behind why we spell the way we do right alongside my kids! I also really appreciate that there are flash cards that go with these spelling rules. Bean and even little Bella have a much easier time memorizing them when I show them the card- something about reading them really allows Bean to “lock them in” so to speak. I’ve even taped the cards that cross over between LOE Foundations (for Bella) and Essentials to the wall so they can both refer to them any time. That said, I think it would be really cool if LOE would commission someone to write songs to go along with these spelling rules (and the grammar rules, and the morphemes, for that matter!). It would make it them easier to remember if there was tune with them! And who doesn’t love to jam out to school work?! Day 2 generally begins with a review of phonemic, spelling, and grammar concepts already covered. These activities may involve use of the different flash cards, letter tiles, or the workbook. Often, this review time is in the form of games, which my children really enjoy. I can usually adapt the games to fit both my students’ needs so they can play together. Sometimes we skip this section (or parts of it) if it is covering topics Bean has already mastered. My Foundations student and my Essentials student can play games together like Dragon to reinforce what they’ve learned. 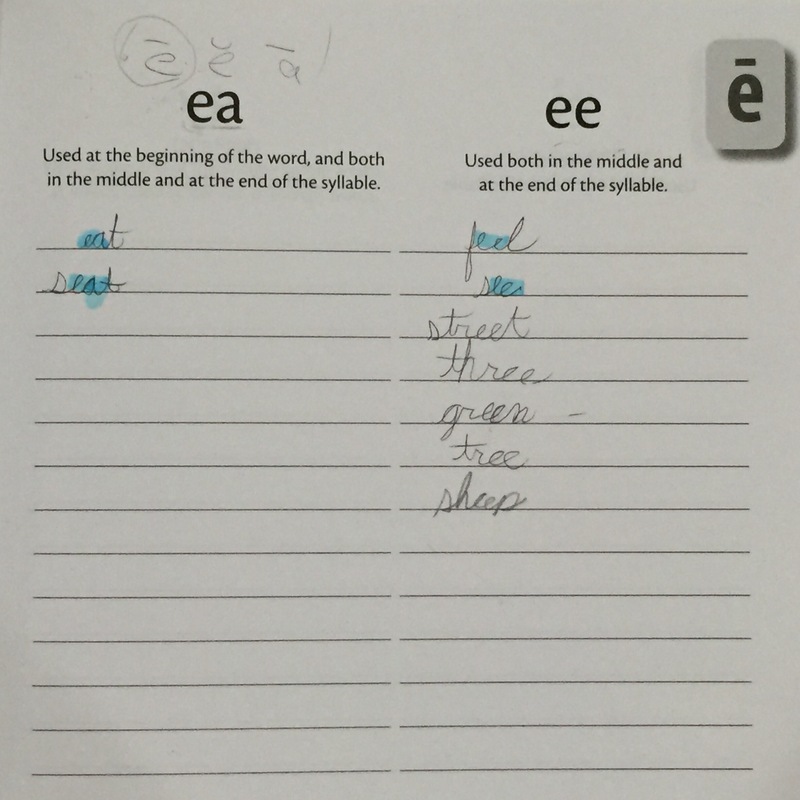 After review, students will do some work in their Spelling Journal (included in the set). The journal contains all the sounds that can be spelled multiple ways, leaving space for the children to write the words according to how their sounds are spelled. In this section, students will review the rules for each spelling. Together, you will decide which words are following which rules and your student will transcribe them in the journal under the proper heading. LOE emphasizes that this journal is not only for use during lessons, but should also be utilized in other parts of your homeschool day. You should allow, and even encourage, your child to add words to the journal as they come across them and use the journal as a reference when they are doing writing activities. Bean hasn’t really used it for writing activities because there seems to be something about teaching why the words are spelled the way they are that has engrained them in her mind and she simply hasn’t needed a reference! She does add words from time to time though. Finally, a spelling list is introduced in a section called Spelling Analysis, with a different list for each level A, B, and C. It differs from traditional spelling lists because it teaches the students how to apply the spelling and grammar rules to new words. Students are not expected to simply memorize these words! It is a step-by-step process that is clearly outlined for both the parent and the student. It took us a few weeks to get this process down, but once we did, it became invaluable! If Bean is trying to sound a new word to spell, I can reference the spelling analysis process and give her clues by prompting her to think about the rules we’ve learned. Spelling Analysis is a step-by-step process in which the student and teacher work together. The first part of Day 3 is a review section. It generally involves phonogram review, spelling rule review, and spelling list practice. Again, I often pick and choose which of these activities to complete, so I don’t bore Bean with activities she has already mastered. Some days, albeit rarely, we skip this section entirely. Next you will find a grammar section consisting of review activities, as well as some activities that expand upon previously learned grammar topics. Students also identify parts of speech and practice changing their Spelling Analysis words in this section, by adding “-ed” or “-s” to make them past tense or plural. New grammar concepts may also be introduced here. Finally, Day 3 includes a dictation section. This is something I really appreciate about Logic of English Essentials. It is so thorough that students are not just memorizing the spelling of words, they are understanding how and why they are spelled that way, which helps with practical application. In this dictation section, students are read a short phrase including words from the Spelling Analysis section and they must write the out the phrase (we use a Meade Composition notebook for this). HOWEVER, these phases may contain different forms of those words. For instance, students may have the words “lion” and “smile” on their list that week, but one of their dictation sentences might be “the lion smiles”. Students will have practiced altering these words in a previous section, but will be making the changes on their own during dictation. In level A so far, the vocabulary section has covered compound words, morphemes such as prefixes, suffixes, and roots, as well as a few other words. It does a wonderful job making the lessons memorable for the kids. The dictation section on Day 4 is a bit longer than Day 3, with more, often longer phrases for the students to write. This section is just long enough for Bean. She doesn’t complain it’s too long, and it is enough to be effective. It is great practice so your student can figure out which words from Spelling Analysis that need additional study before Day 5’s assessment. We really enjoy the composition section on both Day 3 and 4. Bean loves to make up silly phrases so she chooses the silliest combinations of her Spelling Analysis words to create her composition phrases. When she is finished and I ask her to read them to me, we often fall into fits of laughter! At first, I wasn’t sure I was going to allow her to make phrases that were so silly they didn’t ‘make sense. 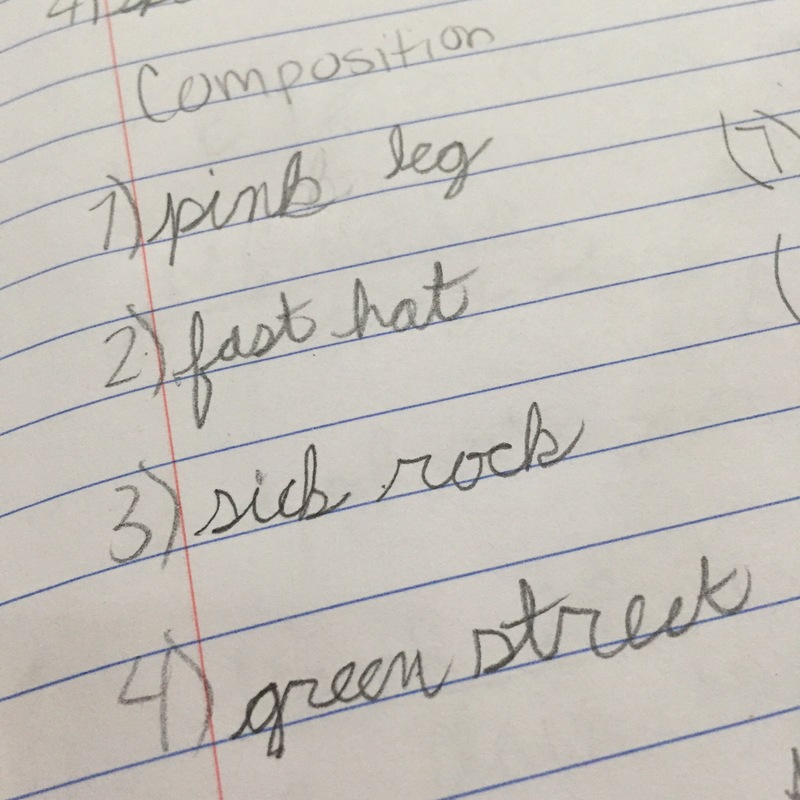 I wanted to make sure she understood what she was being asked to do and that phrases like “pink leg” and “fast hat” were not exactly proper. But after seeing how much more enjoyable it made her work, and that she really knew what the difference was between meaningful phrases and nonsense, I’ve rolled with it. As long as she understands the concepts, why not? Bean enjoys writing silly phrases for dictation. Finally, Day 4 also includes an optional reading section. Bean is an exceptional reader so we haven’t had to purchase the additional reading program, The Essentials Reader. Judging by the quality of LOE in general though, I’m certain it is excellent. I don’t believe it is really necessary for students reading on-level though. If your student is reading books and stories on a regular basis as a part of another curriculum or even just on their own, you can probably skip purchasing this add-on. Just be sure you are working on reading skills and comprehension with them in some way! Day 5 is just what the title suggests. 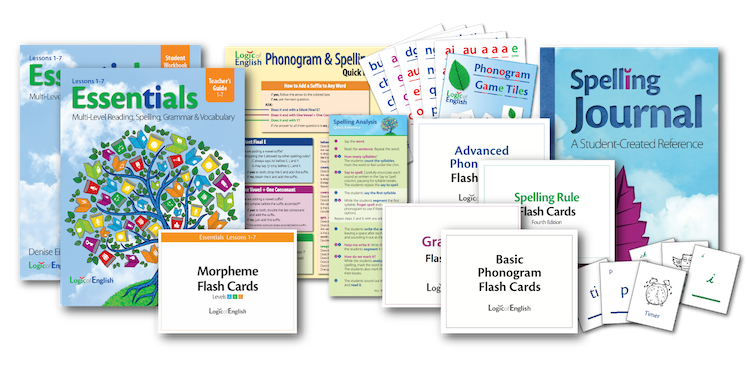 After a very short grammar review, you will find phonogram, spelling, dictation, and grammar activities to check your child’s understanding of what’s been taught. It covers topics that have been taught in previous lessons as well. Bean doesn’t mind this section, even though it is an assessment, which surprised me. She says it is not too bad because it is short. She’s right in that is doesn’t take us long to breeze through it. Dictation is the only portion of this section that is leveled for A, B, and C, so I do foresee some boredom in the future (or at least annoyance for my kid who doesn’t like practicing things she’s already mastered). I imagine when we go through Essentials again to use levels B and C though, I will be comfortable skipping around as necessary. 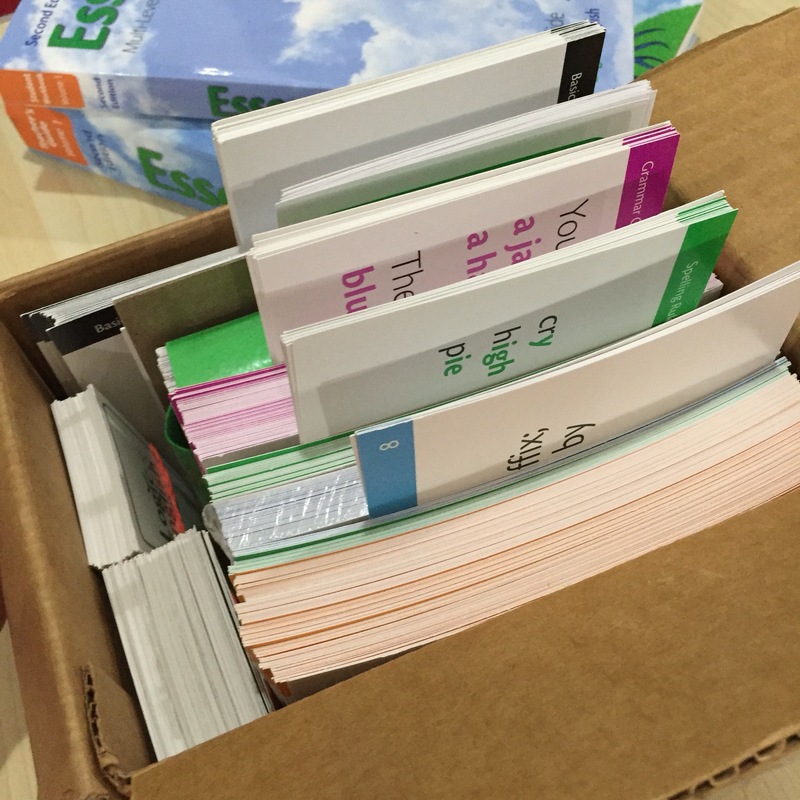 READ THE TEACHER TIP BOXES! Wow, these boxes are great! Any time Bean says, “Mom, but what about ______?” the answer is often right in one of those boxes! For instance, while we were learning about plural nouns, Bean asked about the nouns you can have a lot of but you can’t use an -s on, such as the word “milk”. You can have a lot, but generally you use a measurement to demonstrate how much. You’d never say, “I have 3 milks.” Instead you say, “I have 3 gallons of milk,” or “3 cups of milk.” As we were discussing this, I looked down at my book and lo and behold I saw this! Read those Teacher Tip boxes! 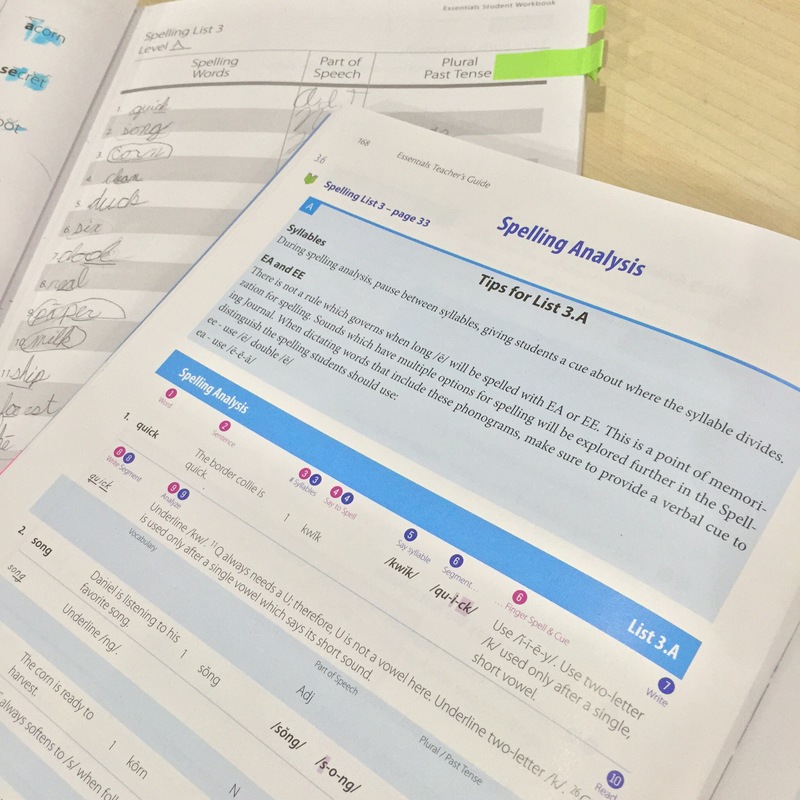 Use small tabs to mark the Spelling Analysis pages for quick reference the rest of the week. Some lessons even ask students to look back at previous Spelling Analysis days, so having it tabbed comes in handy. 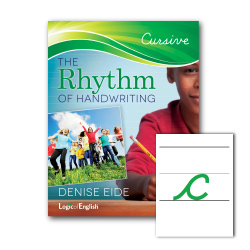 Purchase a small notebook for your student to use for Dictation and review activities. I use these. They are inexpensive and you can find them easily at most drug stores, Walmart, or Target. Be sure to organize all your cards and letter tiles! Bean and Bella share their cards and at first I had a very hard time keeping track of them. Finally, I found this box and use it to store them in my own sort of disheveled way, haha. It may not look like it to you, but I know where the cards I need are when I need them! I keep the letter tiles in a small tupperware container with our LOE supplies. It may look disorganized to you, but with two students sharing the same cards, this box is perfectly organized! If you have more than one student, I think it works best to store ALL of our LOE supplies in one bin or on one shelf for easy accessibility. It makes it easier to keep it from getting lost and will allow you more flexibility to work with both children at the same time. If you have a child using Foundations and another using Essentials, try teaching both kiddos simultaneously, as in side-by-side. I don’t find it terribly hard to switch back and forth between Foundations and Essentials with my girls. I have one child sit on my left, and the other on my right. If you plan ahead carefully, I’m sure you could do this often. Of course sometimes a lesson or activity won’t allow for that, and that’s okay. At least we can do it sometimes! Some homeschool families say that LOE is too expensive for them. Aside from the fact that your students will use these materials for multiple years and that several students can get good use out of them, LOE has made many of their products available at more accessible prices for digital licenses (books in pdf form). Likewise, when you purchase the complete set, you automatically get at good discount off the cover prices. They also have a pretty amazing YouTube channel where you can find tips and tricks for teaching your child with LOE, in addition to a super friendly Facebook page where you can ask for help if you need it. As of spring 2018 Essentials is now available in 4 parts. I plan to move Bean up to level B rather than wait for Volume 2 to be released because she is doing so well (Edited: The Essentials program is now complete and available on the LOE website!). Then when Volume 2 is released, we will snag a copy and get her started on the second half of level B. By then, maybe Bella will be ready to start on Essentials Vol. 1, level A! At the rate that these two are learning with Logic of English, I’ll be sending them off to college too soon! I know many of us homeschool mamas suffer from constantlyswitchingcurriculumitis and it is often really, really hard to find what works. Oddly, it is equally hard to take the plunge to purchase a new full curriculum. But trust me, my fellow homeschoolers, Logic of English will do you no wrong! It just works. I could seriously shout from the mountain tops: I FOUND IT! I FOUND THE ELUSIVE PERFECT ENGLISH CURRICULUM! WAHOO!!!! I found my cure. I know what I’ll be using to teach my girls the art of the English language. I hope you will too! Loved your post, second time ive read it!! I feel like were in the same boat with how much we love LoE!!! I really feel as though it will work for everyone! Only downside is that its “teacher intensive” if you could call 20-30mins sit down time, games and activities included teacher intensive. BUT for moms with many children it may not be the best fit. I love this program so much – good thing i dont have a blog or i would post daily about it!! Love reading your blog/instagram. Keep up the good work! Aw, thanks mama! I’m so glad I have an outlet for my love of all things homeschool here on my blog… So I can post about how much I love LoE, hehehe! In fact, I feel like I’m going through withdraw since we’ve taken time off to do testing and reorganize the house, eek! Can’t wait to start up again. I agree that it does take some sit-down time to complete. But that said, I’ve managed to combine some of the games between both my girls and I’ve even had my big one “teach” parts of a lesson from Foundations to the little one. So with some tweaking and lots of patience, it could be doable with larger families. But you’re right, it may not be the easiest choice for big families. Thanks for the love, mama! Hi! Thank you for such a thorough review. I am considering using essentials as a remedial spelling program for my 12 and 10 year old girls who struggle with spelling. From what you shared about the program, it looks like it is mainly spelling, is that correct? As far as grammar goes, does it get beyond the parts of speech and cover language mechanics? Hi Dyan! My apologies for my tardy response. Yes! I think it covers just about everything, maybe short of composition. We’ve learned about commas, capitalization, sentence structure, etc just in the level A in Essentials 2nd edition. It’s quite thorough. Thanks for reading- please let me know if I really answered your question or if you need more details!